Once again Target has Free Samples available. 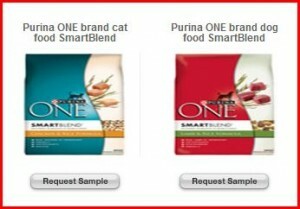 Head on over and get a Free Sample of Purina One Smartblend for Cats and a Free Sample of Purina One Smartblend for Dogs. You should be able to request both. Thanks, MojoSavings.